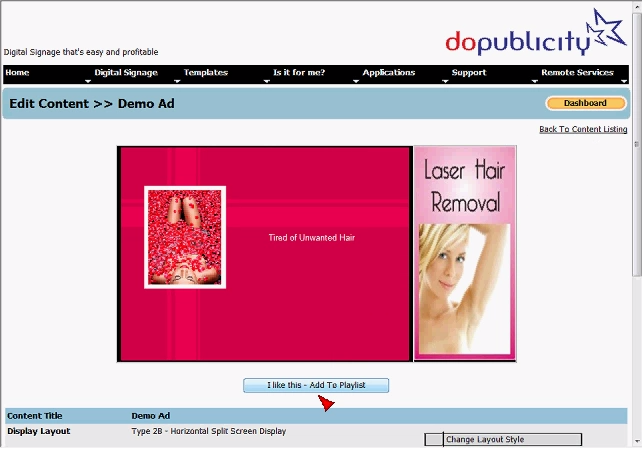 Add Digital Signage Content to Playlist and setup display parameters. Note: It is recommended to temporarily 'Suspend Screen' updating while adding Content, to prevent incomplete information from being displayed on any Screen. Instructions for temporarily suspending updates.